Congratulations to our event hosts on a fantastic event! Thank you from NOAH to our awesome hosts and all who attended and donated! Missed the event? There’s still time to show your support? 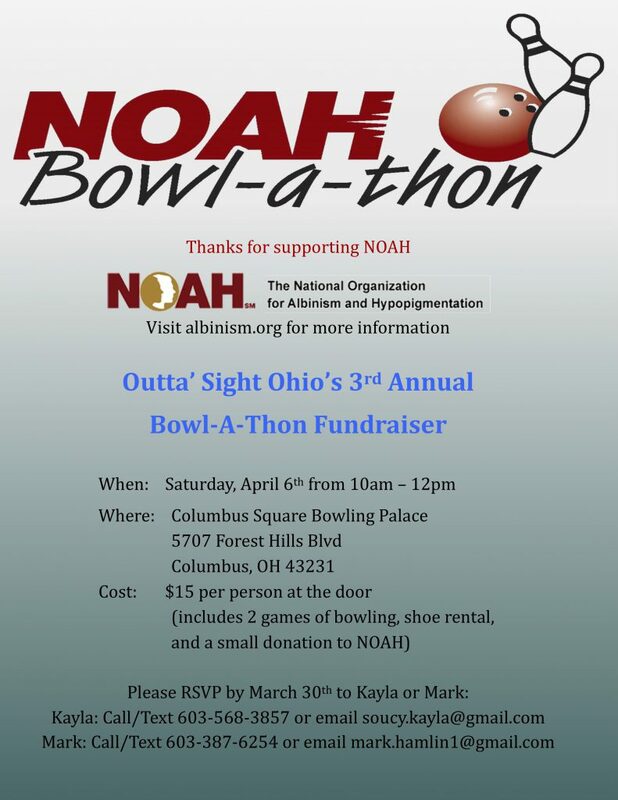 Support Outta’ Sight Ohio’s Fundraiser! Being an event host is easy and we’re here to help you every step of the way. Email us at fundraise@albinism.org to add your fundraising event to the list.